Yesterday, Apple announced it was introducing new App Store review features in iOS 10.3 and macOS Sierra 10.12.4 that would allow developers to respond to customer reviews for the first time. A few more details of note have emerged from Apple since then, courtesy of The Loop's Jim Dalrymple and Daring Fireball's John Gruber. 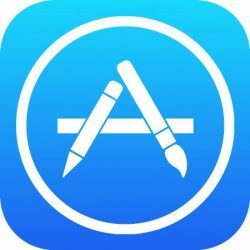 Speaking to Gruber, Apple said that developer responses to App Store reviews will show up in the store as a single response, but rather than having threaded conversations appear, customers will be able to edit their reviews and developers will be able to edit their replies. Notably, iOS users can now use 3D Touch to label reviews left in the App Store as "Helpful", something that couldn't be done before. Currently, App Store review rating averages are reset each time a developer updates their app. However, although in-app review request prompts are to be limited to three a year, this limit won't be reset each time a developer subsequently updates their app. This is likely to frustrate developers, but it looks as if Apple has come down on the side of customers who are often subject to apps hassling them too frequently for reviews. Perhaps most significantly for users, Dalrymple revealed that a "master switch" will be included in the next update that turns off user review request prompts across all installed apps. On a final note, Apple told Gruber that existing apps won't have to change their review prompt behavior immediately after the APIs containing the policy changes have been implemented, but Apple offered no timeline for when the sanctions will come into force. iOS 10.3 and macOS Sierra 10.12.4 are currently only available for developers, but Apple will likely release public betas for public beta testers in the near future. What about a switch to turn off iOS update prompts? Can't wait to flip the master switch, have always been annoyed by the prompts requesting a review, and that selecting 'never' doesn't shut them off. good. now they know how we feel when they ask too many times. Single response is the correct way to do this. Otherwise, reviews become a support forum. Turning off review prompts? Great news for app users! Only 3 prompts per year. This is great news. And if we do want to write a review, we can do it in the app. This isn't ok. It's like some kid has just worked out how to do some sever side scripting in the 90's. Conversations should be threaded. This is an extremely convoluted way of doing this. There already is a switch for that. And finally, not resetting the reviews per version is fantastic. Too many developers put out releases for “bug fixes” only to reset the reviews. That's not what the article said. It said the limit of 3 review request prompts a year won't be reset just because an app is updated; it's 3 a year, total. I imagine the reviews themselves will still reset as they currently do with an update, with the option to still see the average among all versions of the app. Couldn't agree more - I get completely fed up with the constant spamming for reviews by apps and make a point of never leaving a review for an app that asks for one.